Saroj Nadkarni Ghoting has been a children’s librarian for more than 35 years and is now an early childhood literacy consultant. 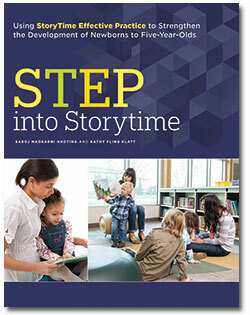 She is coauthor of the best-selling books Early Literacy Storytimes @ your library®: Partnering with Caregivers for Success, The Early Literacy Kit: A Manual and Tip Cards, and Storytimes for Everyone: Developing Young Children’s Language and Literacy. She presents at conferences and conducts face-to-face trainings and online trainings on early literacy, science and math in storytimes, and Every Child Ready to Read. Visit her website for more information.